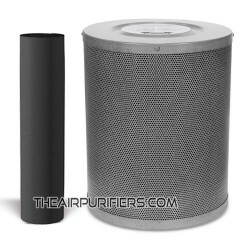 Amaircare AirWash Whisper 350 Filters There are 7 products. Amaircare 90-A-16ME-ET 16-inch Easy-Twist HEPA Filter is Amaircare Original replacement Filter for Amaircare air purifiers with 16-inch Easy-Twist HEPA filter. 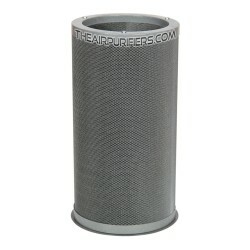 Amaircare 94-A-1602-ET 16-inch Easy-Twist VOC Canister is Amaircare Original replacement Filter canister with 100% Carbon for Amaircare Easy-Twist Air Purifiers. Amaircare 94-A-1605-ET 16-inch Easy-Twist VOC Canister is Amaircare original replacement Filter canister with Formaldezorb specialty adsorbent for Amaircare Easy-Twist Air Purifiers. Amaircare 93-A-16ST00-ET 16-inch Standard Annual Filter Kit is Amaircare original replacement Filter for Amaircare air purifiers with 16-inch Easy-Twist HEPA filter. 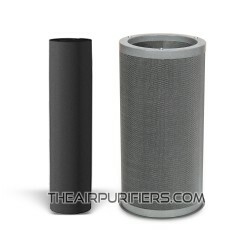 Amaircare 93-A-16PL02-ET Plus Annual Filter Kit is Amaircare replacement filter kit upgrade with 100% Carbon VOC canister for Amaircare Easy-Twist air purifiers. 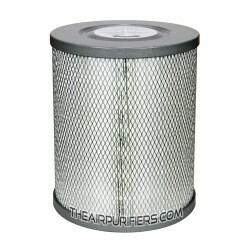 Amaircare 93-A-16PL05-ET Plus Annual Filter Kit is Amaircare original replacement Filter Kit with Formaldezorb VOC Canister for Amaircare Easy-Twist air purifiers. 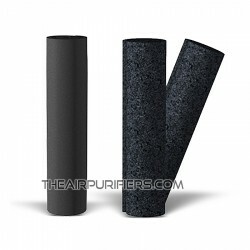 Amaircare 94-A-1602-UL Ultra VOC Annual Filter Kit is Amaircare Filter upgrade with ULTRA VOC Canister for Amaircare air purifiers with 16-inch Easy-Twist HEPA filter design.